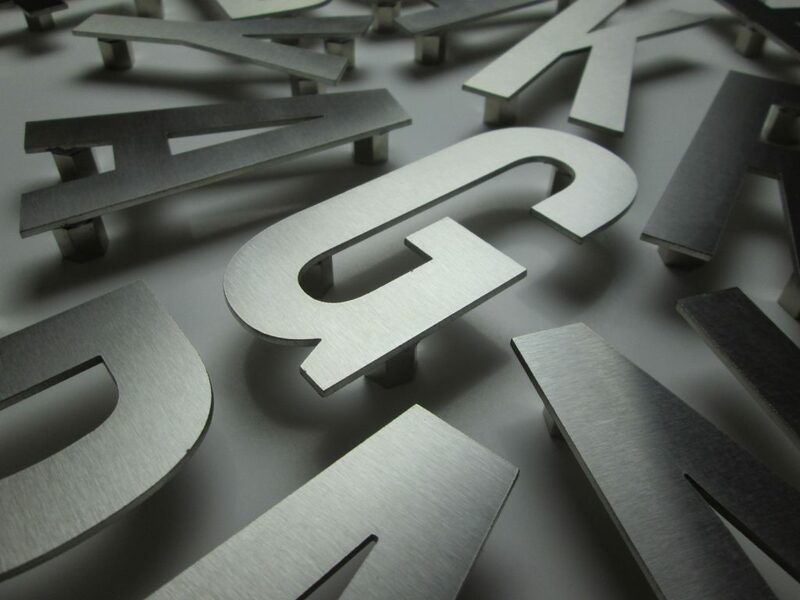 Stainless Steel Letters And Numbers With A Polished Or Brushed Face, Available As Flat Cut or Built Up, Supplied With Brass Locator Fixings Or Threaded Rod Fixings. 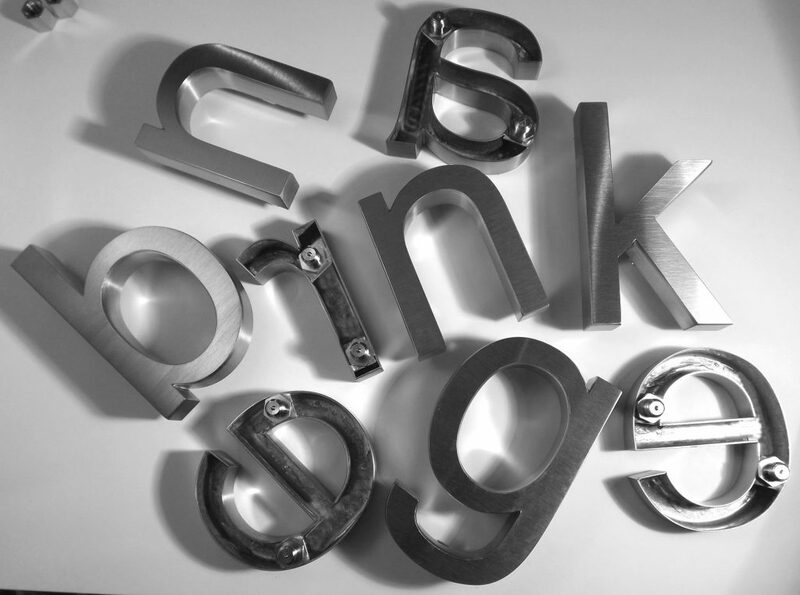 Makers and suppliers of quality stainless steel letters for Business and Industry. Popular with Shops, Restaurants, Quality Garages and the Leisure Industry. We also supply stainless Steel Letters for Property Names and house numbers. Feel free to contact us for advice and a price. sales@arro-signs.co.uk or telephone us on 01202 546540. Stainless steel letters are laser cut in either brushed finish stainless steel or polished stainless steel In 304 grade or 316 marine grade. Marine grade is used for cut out lettering on boats and on properties by to the sea. 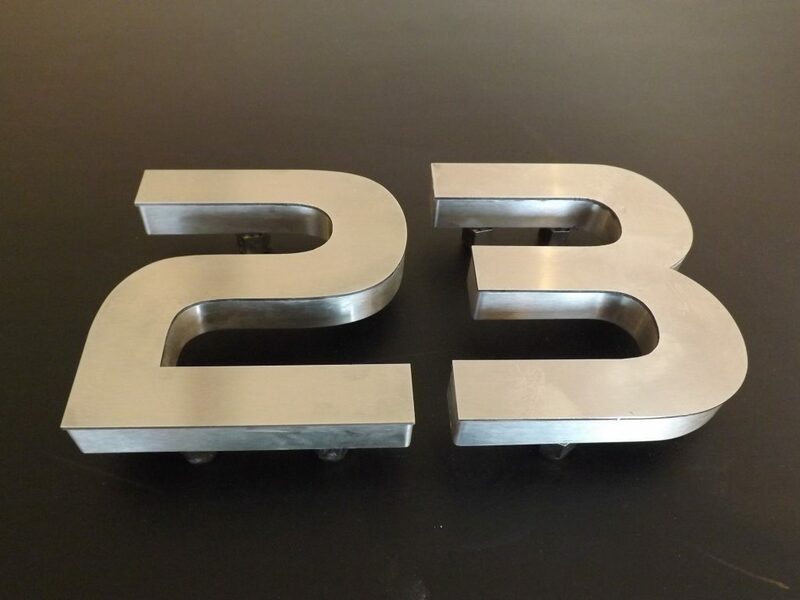 Stainless steel letters and numbers are supplied with either brass locator fixings or threaded rods. 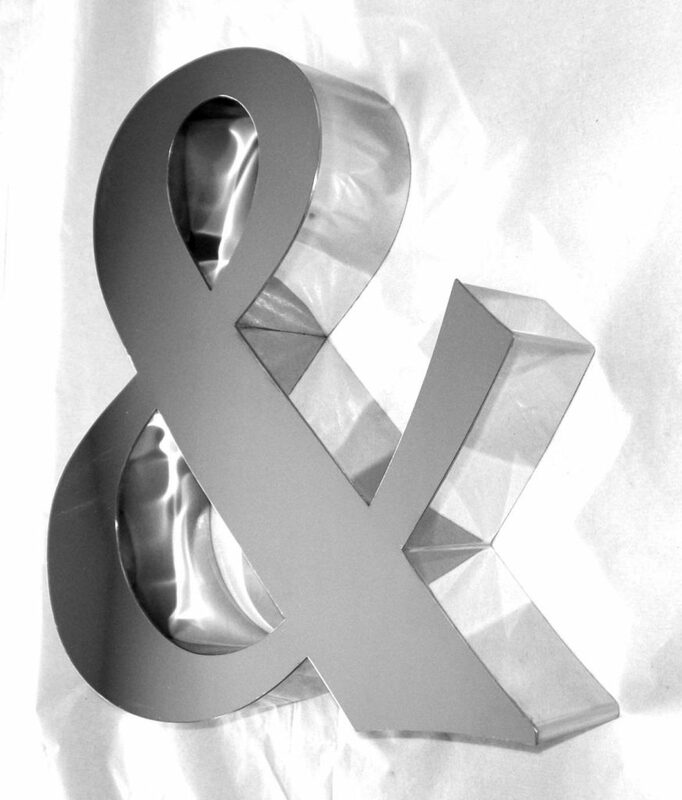 Stainless steel metal letters are cut to order so can be supplied in any practical font/typestyle. They can be in a traditional font such as Times Roman or in a contemporary font giving a modern look. 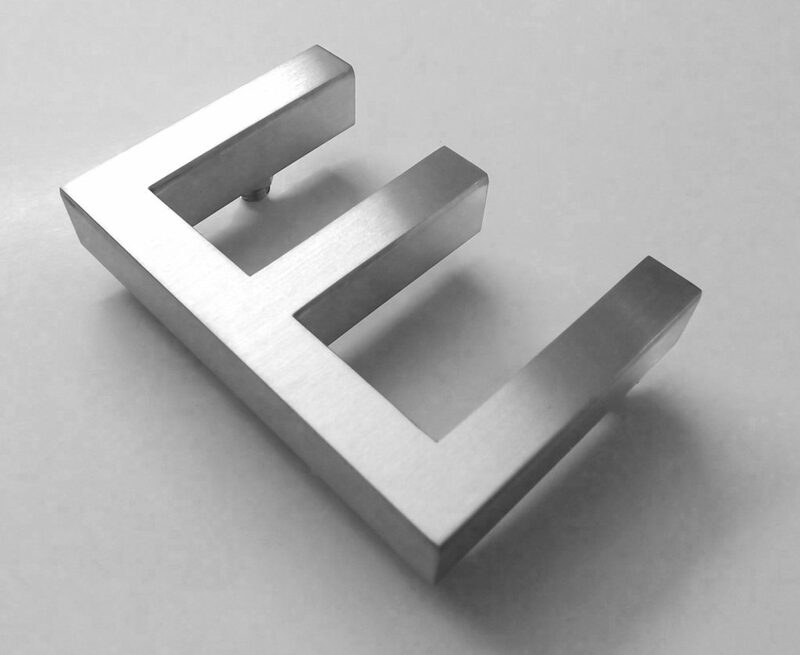 Where stainless steel letters are supplied in a brushed finish they can be either 1.5mm ,2mm or 3mm thick. If a polished stainless steel finish is required they can be supplied in 1.5mm or 2mm( without standard fixings -fixed instead with vhb tape) or 3mm thick if supplied with locator/rod fixings. Polished stainless steel letters have to be 3mm thick when using locators or threaded rod fixings otherwise the fixings could show through the face of the letter. The letters are supplied with a paper fixing template which has the letters all pre-spaced and with all the fixing points shown enabling D.I.Y. fitting. Stainless steel cut out metal letters can also be cut much smaller than alternatives such as acrylic and still be very strong. They can be cut to heights as small as 15mm high. Fonts/typestyles are more limited at this sort of height and standard arial fonts are the norm. they are fixed either with VHB tape or glued into position. 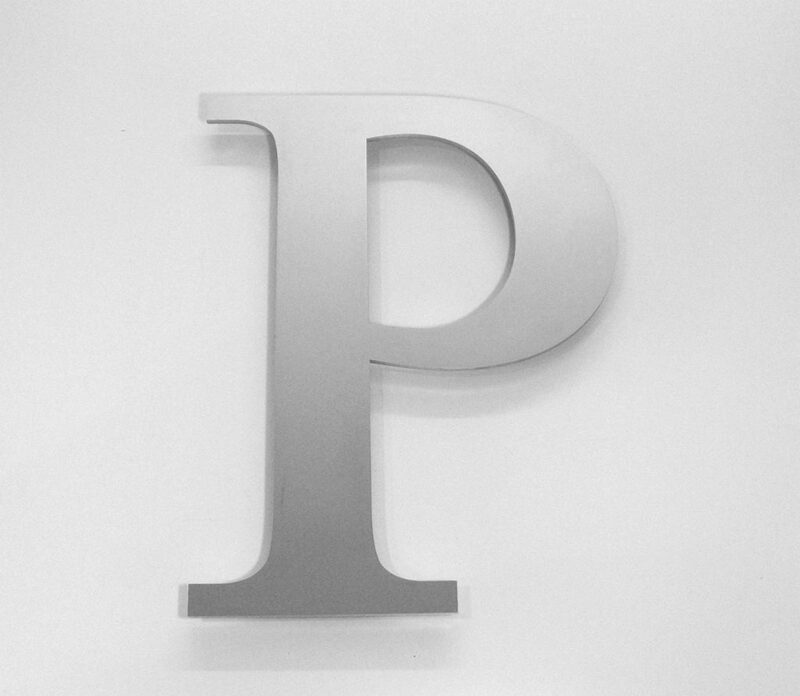 Built up stainless steel letters are manufactured from 0.9/1mm stainless with a flat face and welded returns. The returns are usually around 10% of the letter height until the stainless steel letters get to around 500mm high The fixings are the same as with flat cut metal letters except a bridging bar is welded to the back of the letter for the fixing . Although the letters are made to order, due to the nature of their construction the choice of fonts/typestyles is more limited . private houses, industrial parks, boat names, school ,college or university identities, wine bars, restaurants & bars – house numbers, floor levels in flats/offices, the list goes on. Brass locators fixings are a nut and bolt fixing system, the bolt part is fixed to the back of the letter and the other is fixed to the wall or fascia. These fixings also permit the removal of signs for maintenance or servicing. Locators are available in brass or nickel plated brass for a superior strength and longevity . This fixing automatically raises the letters approx 10/15mm away from the wall or fascia. Threaded rod fixings are used if the stainless steel letters need to be fixed flush to the wall or fascia or if the wall is uneven and if manual spacing is required. VHB tape is used where the cut out metal letters are fixed flush to a fascia panel or if they are too small for brass locator or rod fixings. .